Explore the meeting point of the eastern, western, and northern cultures in the tiny village of Nellim, next to the enormity of Russia, in the heart of the land of Sámi. The bus will take you comfortably to the northernmost border crossing between Finland and Russia. We will spend a moment at the border station and continue on to the Paatsjoki River Bridge that crosses over the unfrozen river and provides a view directly into Russia. We will also explore the Holy Trinity church at Nellim, where the log walls and the beautiful icons transform the shrine into a completely unique work of art, exhibiting the centuries-old Orthodox history of the Skolt Sámi people. Lunch is served in the Nellim Wilderness Hotel, where the tables are filled with delicacies prepared from the purest ingredients of Lapland. Explore the local way of life and the history of the Sámi people and see the magnificent unfrozen Juutuanjoki River with its steaming rapids, flowing between the snowdrifts. Take a comfortable seat on the bus! We travel leisurely through the village of Ivalo to Inari and stop along the way to photograph the beautiful landscape on the shore of Lake Inari. In Inari, we take a short walk to the snowy Juutuanjoki River, where the openly flowing rapids carve ornamental patterns into the surrounding ice. 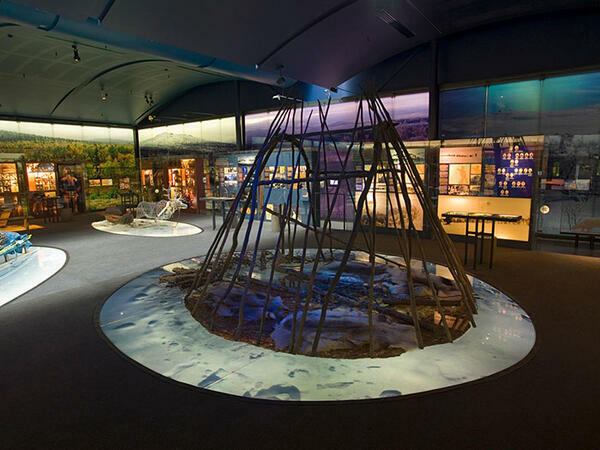 After a lunch in the warm embrace of a campfire, we continue on to the Sámi Museum Siida. 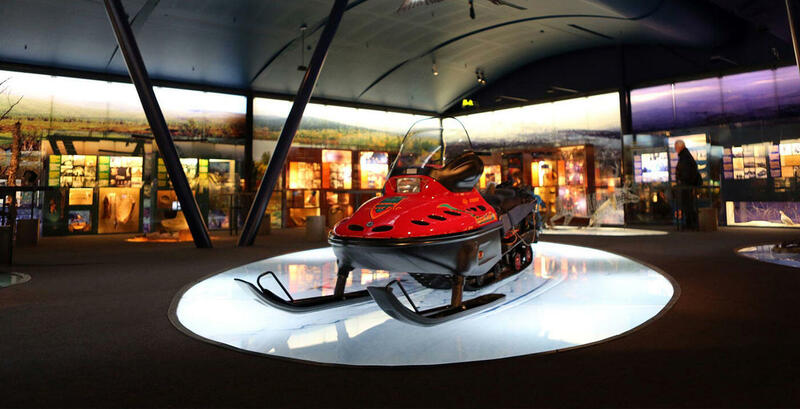 A guided tour of the museum provides you with a good idea of the history and way of life of the Sámi, the indigenous people of Lapland. After the tour we will visit a handicraft shop where you can purchase beautiful local souvenirs. Get to fish and have a taste of the giant shellfish of the Arctic Ocean on this exciting day trip through breathtaking Arctic sceneries to the far Northern edge of Europe. On this excursion, you will see some of the most breathtaking sceneries of two Nordic counties. A bus takes you through the treeless tundra and fells of Northern Lapland and by the barren, snow-covered fjords and mountains of Norway. On the way up you get to visit and go shopping in a tiny peripheric village, Näätämö. After arriving at a fishing village Kirkenes, you will meet with Norwegian fishermen and are invited aboard a speedboat for 2 hours in the sea. The fishermen will dive down to catch king crabs, you will be hands on deck, helping to pull the catch from the sea. You get to hold the beasts and take some photos. If you are lucky you can spot birds, seals or even whales on the boat trip. Back ashore the catch of the day will be prepared for a Norwegian shellfish feast in a cosy restaurant. While the crabs are being cooked, there is a presentation and conversation about the king crabs. On the way back to Saariselkä you might get to see the Northern Lights. 16:00–21:00 Drive back to Saariselkä. Possible Northern lights by the way. Please note that this activity is not accessible by a wheelchair.